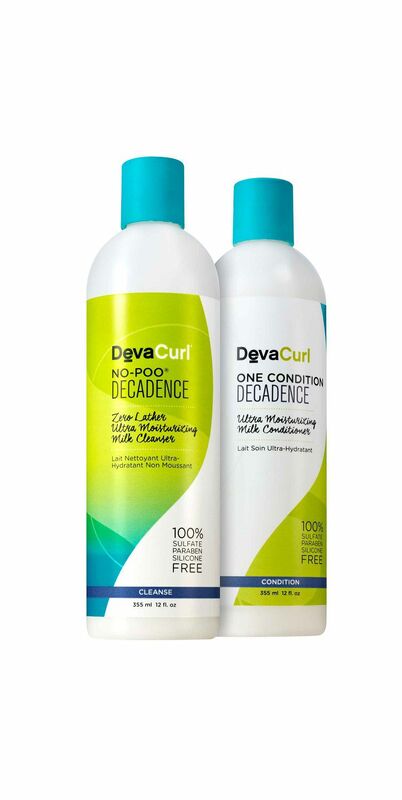 Curly people, here's a review of DevaCurl Decadence products and SuperCream, the newest offerings designed for super-curly hair. The DevaCurl brand makes products for all curly textures, but if your hair falls into the category of tight curls and coils, this may be the lineup for you. All DevaCurl products are extremely light in fragrance, so there's barely a hint of any scent. Anyone who doesn't like heavy, cloying fragrances can keep that in mind. They are also free of sulfates, parabens, silicones, mineral oil, and other bad stuff you don't want on your hair. Following the directions on the bottle, I cleaned my wet hair with the No-Poo Decadence, focusing on my scalp. As promised, there was absolutely no lather. Once I rinsed, my hair felt soft and clean. I followed up with the One Condition Decadence, which has a good amount of slip. You can use this as a light leave-in conditioner, so after coating my hair once, I rinsed thoroughly and then reapplied a small amount of the conditioner and left it in. Note: For this entire process, from cleansing to styling, I didn't use a comb or any other tools at all; I used my fingers exclusively. That's how much slip they provide, in that I didn't need any combs or brushes to work through my hair. Made for the super curly hair, DevaCurl SuperCream ($28) is not only defining, but it smooths, shapes, tames, and stretches, plus more. In short, it really makes the most of every curl. When I used the SuperCream, I feel it gave my hair a little bit of weight so it didn't shrink as much as it might with a gel. 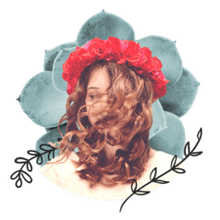 It contains several ingredients specifically designed to control frizz, add moisture, and a light hold, such as coconut oil, jojoba protein, and corn starch. You can use it a few different ways depending on what you want. I applied it on wet hair as a styler for curl definition and a light hold, but you can apply it to damp hair and shake your curls out for a more tousled look or to refresh next-day curls. I applied this on wet hair, straight out of the shower. I only squeezed the excess water out but didn't use my usual t-shirt to soak up any moisture. I parted my hair into four sections and applied two quarter-size amounts to each, raking the product through to make sure it coated evenly. My hair air-dried for about two hours and then I hit it with my diffuser dryer for about five minutes to add some volume. These are my results, and I love them. The biggest difference for me between the SuperCream and the Ultra Defining Gel is that the SuperCream resulted in no cast or crunch. It provided a completely soft hold without sacrificing definition. Like all curlies out there, I have shrinkage, but I think my curls had some good elongation with the cream. When you have a product that defines but still allows your hair to be soft, that's a huge plus in my book. My hair always has a bit of frizz going on (I live in a very humid location), but by the end of the day, any frizz was barely noticeable. I love being able to touch my hair throughout the day without feeling any buildup or hardness. Does WEN Haircare Cleansing Conditioner Really Work?